Woman examining data on smartphone; image courtesy of Lex Machina. Over the past decade, only 12K contract dispute cases awarded damages by the courts (vs. cases that settled). Legal analytics will upend this by giving attorneys unprecedented advantage in court by helping them predict the behaviors and outcomes different legal strategies will produce. Lex Machina, a LexisNexis company, announced an expansion of its award-winning Legal Analytics® platform with its new Contracts Litigation module, providing legal professionals with detailed data from more than 135,000 contracts cases pending in federal district court since 2009. 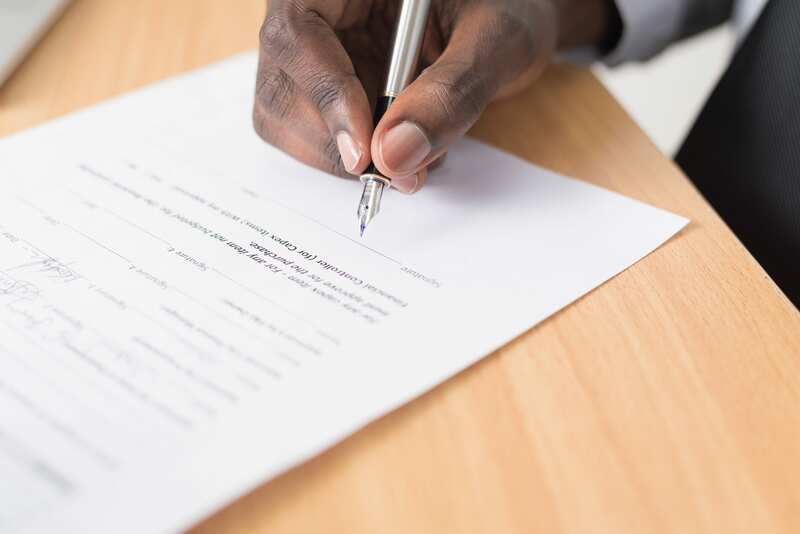 Man signing contract; image by Cytonn Photography, via Unsplash.com. The top damages award in a Contracts case is $779 million which is an approved class action settlement. The top damages award in a franchise case is $69,072,258 in contracts damages awarded at summary judgment. The District of New Jersey ranks #1 in litigated franchise cases with 125 cases this year (16% of all franchise cases). The Central District of California ranks 2nd with 37 cases this year (5% of all franchise cases). How Legalized Sports Betting Could Improve the EconomySalvadoran Woman Awarded Restraining Order Against I.C.E.